I was and am looking for an English version for quite sometime without success. I was introduced to Captain's Daughter and other classics thanks to the cold war bonhomie of NAM (Non-Aligned Movement) and Soviet Russia. Thank you for your comment! I'm glad to hear that you also enjoyed "Seryozha," so many years ago, reading it in Tamil. I might suggest looking on Amazon for a used copy of the English translation, if you want to buy it. This page lists the various names and translators. Interlibrary loan might also be able to find the book for you and deliver it to your nearest public library. Worldcat.org is a great place to start looking. Are there other details you can provide about the book you knew as "Dirt Ball"? Sometimes titles are changed a lot for translations -- as with "Seryozha" -- so other information might help to locate it. Thank you for your note and happy reading! Hello. I read this book when I was a mere child some 12 years ago. I read it in my own language, Bengali. Its title in Bengali was "Pita o Putro" (Father and Son. The copy I have belonged to my aunt who had received it as a present during the 70's. My grandmother gave it to me after she had left it behind after her marriage. I remember this book very clearly. It made a strong impression on my mind. I remember re-reading it several times during that summer holiday. It fascinated me because it told the story of a child my age who was from a different country. This particular copy is old and it's crumbling after more than 30 years of usage. I wish I could get a new copy of this book but it is no longer available in my country. It is one of those books which I will always treasure. Farhan, thank you for leaving this comment! It makes me happy, too, to see how much you must have enjoyed this book. recently i get a new copy from my nice .she collect it from her school library . 'bishow sahitto kendrow " published it . but i am still looking for its english version .coz its my favourite novel since 40 years .still i fill the same when i read it first time .i want to collect its english version for my grandchild . "seryozha" the best book ever ! jahan ara rahman, thank you for your comment: I'm happy to hear you loved this book so much that you want to buy it for your grandchild! Thank you for your comment, Amy! And no problem on the double post -- they happen all the time, and I just remove them. I'm glad to hear you enjoyed "Seryozha" in Bengali when you were younger. It's interesting to hear that the book's title was translated as Father and Son. I can imagine that it must have had a strong effect on you as a child! It's a marvelous book, and I hope you are somehow able to find another copy. I read Tamil version of Seryozha when I was 16. I was immediately spell bound by the novel's realistic portrayal of a child's perception about the happenings around him. It was amazing that a little boy's feelings could be inked that well by a matured woman. I could still remember all the characters in the novel such as Mariasha, Koresthelyov, Aunt Basha, Uncle Lukyanich etc. though I am not sure about the spellings as I read this book in Tamil. I and my close friend Siva were fascinated by this novel and we still we talk about the incidents portrayed in the novel in length. This is one of the treasure in my library. Another russian story which impressed me is 'Fate of a man' by Mikhail Sholokhov. This is another touching story about a soldier who lost everything in the WW 2 and feels he got a new life when he meets a little boy who was also orphaned by the war. It is a shame that these beautiful literatures were shunned by the western world because of cold war. Thank you for your comment and your visit, Anonymous! It's nice to hear more confirmation of Vera Panova's following in India. Several of her books have been translated into English but she does not seem to be well known in the U.S. (I learned about her from a Russian friend.) I think it's safe to say that Sholokhov is best known here for Quiet Flows the Don. Thanks for your reply Lisa. Apologize for not mentioning my name in my earlier comment. My name is Seran and I am from India. Have you read 'Fate of a man'? If yes, please write about that. It would be nice to hear about a heart warming story that was unjustifiably ignored by most. Yes, Sholokhov was best known for the epic 'Quite flows the don'. I shall try to get a copy and read it. By the way, could you guide me if there are any online sources where I can read Vera's other writings? As for Panova's writings, I haven't done a lot of searching but the only site I know of with her work is in Russian, here. I hope that you are able to find more of her books to read! I read this book in Bengali, titled Pita-Putro (Father and Son) just like Amy. My copy is also very very old as i have inherited this from my mother. This book belonged to my mother and her siblings a long long ago... The book was translated and published in Kolkata,India. but now, totally unavailable.. I really like the book and read it very often.. Seeing the world through Seryozha was sooo real and wonderful!! dont know why, i still feel his mother didnt care for him much as she was supposed to,but his step father was the perfect parent... i am always a fan of russian children's literature and this is a big favorite.. i would love to pass it on to the next generation! Thank you, Tasira, for writing about your love for this book! It does feel very real. It's great to know that Vera Panova has so many admirers in India -- I've enjoyed her books very much, too. You're very welcome, Ruth -- it's nice to hear from so many of her fans in India! I never realised that there were so many fans of Panova in India - how exciting. There is a good film based on Seryozha with Sergei Bondarchuk as Korostylev, and Sholokhov's "Судьба человека" was made into a film with Bondarchuk. Thank you for mentioning the movies, Alexander. Yes, it's been very interesting to learn about Panova's popularity in India! I absolutely loved this book when I was a teenager! Have you seen the eponymous film made by the then debut director Georgi Daneliya http://www.imdb.com/title/tt0054293/? Vera Panova adapted the screenplay herself. I heartily recommend Georgi Daneliya's autobiography "Безбилетный пассажир"
I'm glad to hear you also enjoyed this book, Steven. It must have been a lot of fun to read as a kid! I have not seen the film. Hello! Wow it's been two years since I last visited this page! How time flies. Anyway, I just wanted to say that I am from Bangladesh. The book was quite popular here too, not just in India. Thank you for the return visit, Amy! It's nice to hear the book is popular in Bangladesh, too. Of course I'm not at all surprised: it's such a good one! Enjoy your reading! Thank you for your comment, Oini. Please don't worry about your English -- I'm just happy that you also enjoyed the book! Unfortunately, I don't know much about many of Panova's other works: the only other Panova book I've read is her book about the hospital train, which isn't a children's novel. You might just want to look up her books that are available on languages you read and see if they fit your interests. I was looking for this book in English and came upon your page. I read it in Korean when i was a boy during the 1980s. The Korean title was "Papa" (as in father). I was able to locate a used English version (as I cannot read Russian, unfortunately) under the title "Time Walked." Thank you very much for letting me find it. Other Korean-translated Russian children's books I enjoyed immensely were "There, far beyond the river" by Yuri Korinetz which was about the writer's uncle, and "Silver Crest: My Russian Boyhood" by Chukovsky. foma, I have read all the books that you mentioned above in Korean too in my childhood and still enjoy them even now. (In fact, I still have them in my bookshelf.) I absolutely love Seryozha for its elegance and how each character is portrayed with warmth and compassion. I also like the ending for its gentleness and sensitivity, thereby keeping the spirit of the rest of the book. To the list of my favourite Russian children's books (which is similar to foma's), I would also add At Life's Beginning by Samuel Marshak. Thank you for your comment, Sonya Han -- it's nice to hear from another reader who enjoys Panova so much! Foma, I'm glad to know this post helped someone else find the book! It's wonderful to hear what a favorite it is for so many people. hi,am anseera, an indian.I'm very glad to tell you that seryozha is my mphil dissertation topic.i read the story in english and your article helped much to get more ideas about the story. i'm very happy to tell you that i studied russian as a part of my PG program. Thank you for your comment, Anonymous! I'm glad my post was helpful for you and hope your dissertation was (or will be) well received. Seryozha is a wonderful novel to write about. i read seryozha in Tamil. It is one of the books that we (my brothers and sister) remember very vividly and still quote. One of the most frequently quoted sentence is "my father will also get me a cycle" says the Lorry driver's son when he hears that Korezdelyov (tamil version of the step father's name) buys seryozha a cycle. When we are short of money at the month end for a big purchase, this is a quote used! I have read many more books. 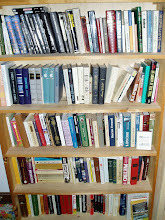 We used to have hundreds of books from Mir, Raduga, and Progress publishers. Alas, time has devoured those books and these books are not available in India now. How I wish I could give my children these books in Tamil! I do have some English copies of these books. Thank you for your comment, Munna, and your list of books -- it's fun to hear that the line about the cycle became so common in your life! It's interesting that you mention Yuri Olesha's Three Fat Men... I was recently reminded of Olesha and realized I hadn't read that book. Maybe that's a sign that it's time to do so! Hi, I'am suganthi ,an indian.I read "Seryozha" in Tamil when i was 17 and lost this book. Since then I'am searching for this book in NCBH book stalls but not found.Now I want to introduce this novel to my daughter who is 16 now. While searching for this book,i landed up in this site. I am a great lover of russian novels ,Particularly writer Chingiz aitmatov's novels. Happy to hear from u all! Thank you for your comment, Suganthi -- I hope you find a copy of the book for your daughter! Thanks for writing about this wonderful book. I am Cheenu from India and have read most of the soviet children literature in Tamil. I dont know Russian, but the Tamil translators had done an exceptionally good translation. Recently many Soviet books in Tamil are being reprinted by many publishing houses, as there is no real copyright claim on these anymore. I have bought few copies of Seryozha for my children and my grandchildren (future:)). Thank you for your comment, Cheenu! I'm very happy to hear how much you enjoyed Seryozha, too, and am glad you were able to find (and guy!) copies for your children and future grandchildren. I have no doubt that the story will still feel fresh in many years! I have been looking for Seryozha for a pretty long time. I just ordered for the english translation today, and hopefully will get it soon. I hope to read it to my daughter, who is 5 now. Just the right age! and just the right summer! Thank you for your comment, Samia! I'm glad to hear you enjoyed Seryozha so much, too. It's a wonderful book so your daughter is in for a treat! I hope she enjoys it as much as you did. I red this book when I'm 8 or 9 in Telugu(a south indian language). I've red a couple of other books too but this is the only book I was deeply attached to. Can someone please point out the link for english/telugu version of this book? Apologies for my very late response to your question. Unfortunately, I don't know where to find the book online in either English or Telegu. Hey there, like others my memory of this book is also reading it while I was a 10 years old. I thoroughly enjoyed the book from my grandparents' library. I remember I was quite annoyed with the mom and struck by the cruelty the little kid had to go through. I rooted for his happy ending at that time but now after 2 decades it seems like the writer had a lot more to tell. I really liked your review and I am glad to have discovered your blog. Many thanks. Thank you for your comment, Rahnuma Ahmad, I'm glad you found the blog so you could share your impressions of Seryozha!